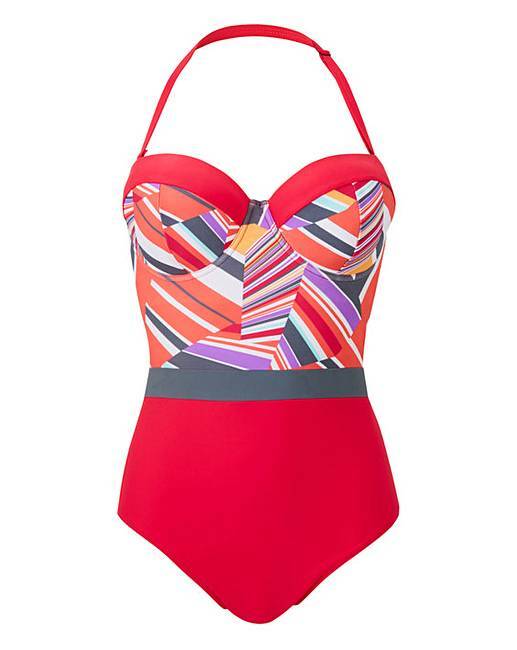 This geometric print swimsuit features solid pink panel detail for a flattering design. The removable strap allows you to make this swimsuit your own with the choice to wear it as a halterneck or a strapless style. Complete with underwire for extra bust support and back clasp fastening, this swimsuit is the perfect addition to your summer suitcase.